Greetings! I’m Kathryn Lowerre, communications co-chair at NM Evaluators (www.nmeval.org) and evaluator for the Drug Overdose Prevention Program at the NM Department of Health. Following the lead of fellow affiliates (like our neighbor, AZENet), we’re sponsoring a week of blogs around evaluation in NM. In 2019, NM Evaluators is building from our October 2018 annual conference, Evaluation with New Mexico’s Diverse Communities, with a keynote event led by Dr. Michele Suina (Cochiti Pueblo) on Rethinking Data: Meaningful and Respectful Practices, engaging a range of attendees from in and out of state. This was followed by events at the national AEA conference in Cleveland, where several members shared their work. In January we held a strategic planning session at UNM’s Cradle to Career Policy Institute, with our current president, Scott Hughes. We were delighted to have thoughtful, committed individuals (not only board members) call in and come in to help us plan for 2019. Lessons Learned: A couple of notes on “The Land of Enchantment”: Some visitors have the idea that NM’s all desert, but it encompasses lush river valleys and mountain forests. 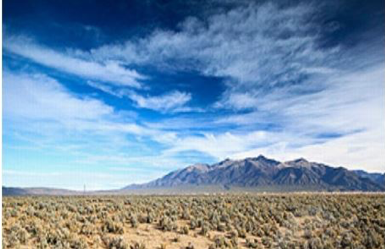 Diverse communities, natural beauty and natural resources are among NM’s strengths. Among the challenges, NM has high child poverty rates and much of the state is considered a health professional shortage area. Programs often rely on federal funding, and large blocks of land are national parks, monuments, or forests, or otherwise federally owned, like Los Alamos National Laboratories. Outside of cities like Albuquerque and Las Cruces, it’s a very big and often very rural place. Many NM communities have historically struggled for representation back in Washington D.C. and fought to have their voices heard in decision-making that affects them. Newcomers like me (I’ve only lived in NM for 5 years) have a lot of listening and catching up to do. Following are some accounts of practicing evaluation in New Mexico which we hope will be of interest to other AEA365 readers.